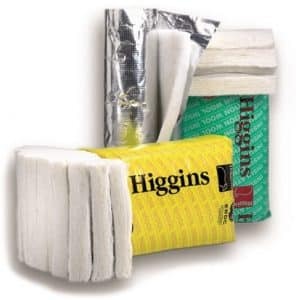 Whilst standard thermal insulation batts do provide a level of soundproofing, Acoustic Batts are specifically designed to provide higher levels of soundproofing. The key difference is the density! In soundproofing, density is everything! 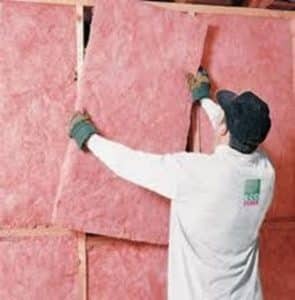 Acoustic Batts are made at a much higher density than standard thermal insulation batts. When 2 batts have the same thickness, the higher density batt will be more effective acoustically. So, if you have 2 acoustic batts that are 100mm thick, but one is 14kg/m3 and the other is 20kg/m3, the 20kg/m3 acoustic batt will be acoustically superior. However, when evaluating 2 batts with different thicknesses and different densities, then you need to consider the mass. See how to do this in below. 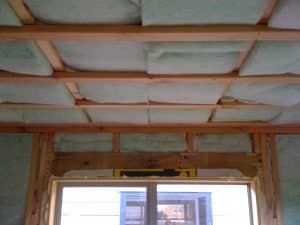 Within Australia, the most common acoustic insulation batts are made from either Glasswool or Polyester fibers. Below is an outline of the most popular products on the market with an image and brief description of each. 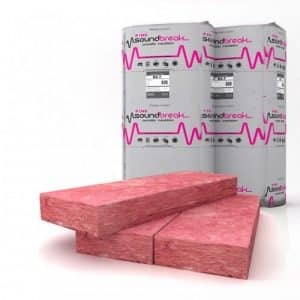 Pink Soundbreak batts are a next generation 'Softer Touch' glasswool product created using an innovative new technology. 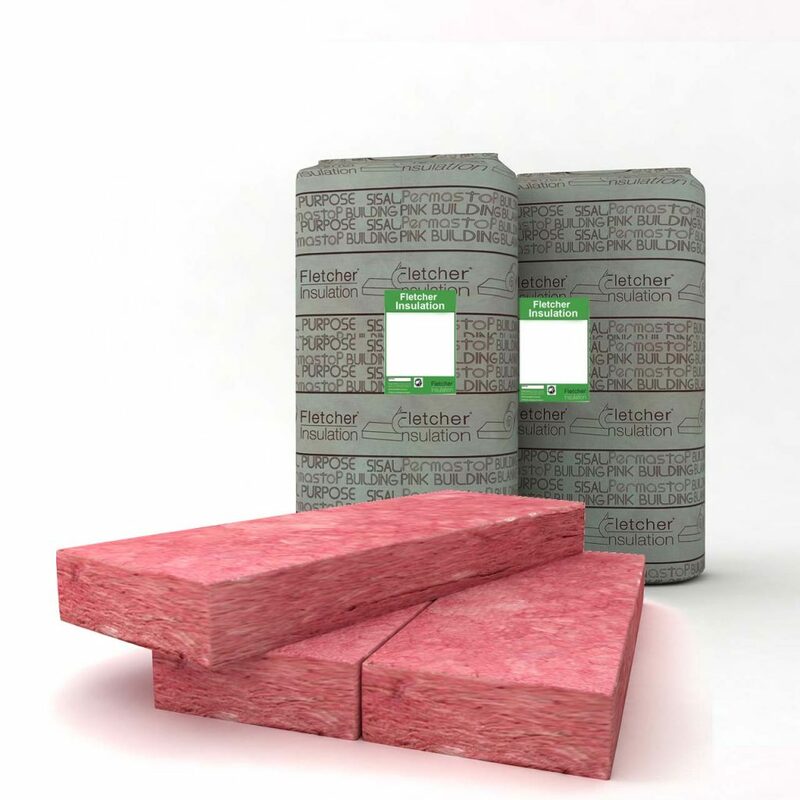 Manufactured in Australia by Fletcher Insulation, the product is widely used in Australian homes or commercial projects and is backed by an extensive quality & performance guarantee. Soundbreak Batts are between 24kg and 26kg/m3 and reduce sound transmission by up to Rw42 in a typical wall construction. Soundbreak batts are available in 4 thickness from 50mm to 110mm, and in 5 R-Value options, to give you greater control of acoustic & thermal reduction. 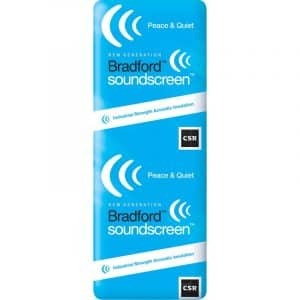 Soundscreen is a traditional Glasswool insulation product manufactured by Bradford Insulation in Australia. The batts themselves are olive greenish in colour and have a density of between 24 & 25kg/m3. The range includes 4 batt thicknesses from 60mm to 110mm, and 3 widths, to fit standard stud/joist spacings in Australian homes. Stated acoustic performance for the range is from 50% to 85% sound transfer reduction, depending on which batt thickness you choose. Made from 100% polyester, Polyester Acoustic Batts offer a softer, 'easier to handle' alternative to Glasswool acoustic insulation. As polyester is considered very safe and is non itch, no gloves or masks are required to handle it. 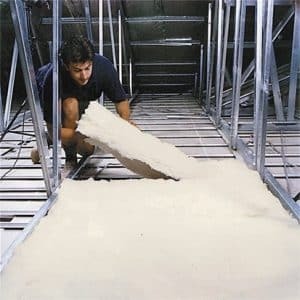 White & fluffy in appearance, polyester acoustic insulation is generally available from 14kg to 60kg/m3 densities, and a wide choice of batts widths and thicknesses. Earthwool Acoustic Batts are another Glasswool insulation product, but unlike Soundbreak & Soundscreen, Earthwool is manufactured overseas by Knauf Insulation. Available in densities from 11kg to 27kg/m3, 3 width options and 5 thicknesses. The batts are brown in colour, and come highly compressed in a bag, which means less bags to transport. Where to Use Acoustic Batts:- Within the home, Acoustic Batts are primarily used in 3 different areas, Ceilings, Walls and between floors. Ceilings:- Usually, within the ceiling space it would be more common to use a thermal insulation batt, as up to 35% of house hold heat can be lost through the ceiling. However, there are times when a high level of soundproofing is required that goes beyond normal thermal batts. For instance, within a home theater room, or when trying to reduce rain noise within a home that has a low pitched metal ceiling. Walls:- Soundproofing walls within a home is very common, and highly recommended. Areas such as bathrooms and bedrooms generally require a medium level of soundproofing. 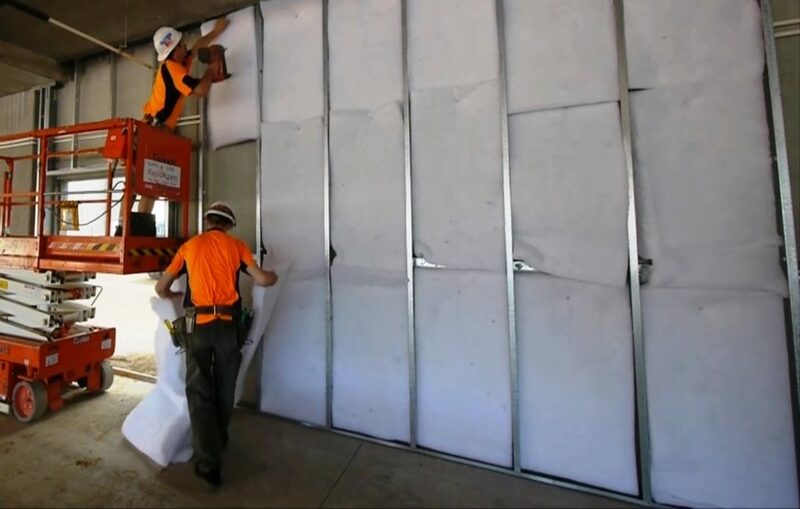 Whereas areas such as perimeter walls, especially those that face roads, playgrounds or pool areas, will require a higher level of acoustic insulation. And of course walls that surround home theater rooms or other media rooms will require a high level of soundproofing. 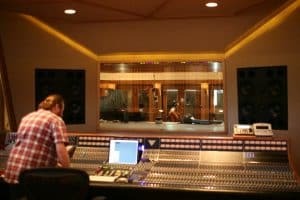 Although installing acoustic batts is a fairly simple process, no matter which area you are installing acoustic insulation batts into, there are some things to keep in mind. Firstly and most importantly is to make sure that every crevice of the cavity is full, so that there are no gaps. Sound is like water, and will find and leaks in your structure. So even a small gap will compromise the acoustic performance. 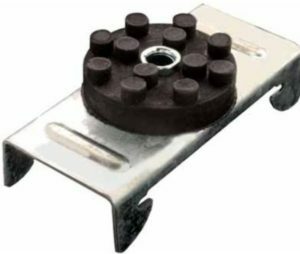 Secondly: When installing acoustic batts between studs / joists and then covering with a layer of plasterboard, it is advisable to use resilient mounts to mount the plasterboard. Although you have installed Acoustic batts into the cavity to reduce airborne sound passing through the structure, there can still be impact sound that travels through the joists / studs. This is particularly evident when soundproofing between floors. By mount the plasterboard with resilient mounts, you can reduce the amount of impact noise. Check the batts size requirements: The first step in choosing the right Acoustic Batt insulation for your project is to check which the cavity depth and stud width you are working with. Stud widths will usually be 430mm, 580mm or 600mm. Cavity depths can be anything from 50mm up to several hundred mm in between floors. Decide which material you prefer, glasswool or polyester: There is no stand out material for better acoustics, as the acoustic performance of the batt will be determined mainly by its density and thickness, and to a lesser degree, the structure of the batt. However, as all batts are pretty much manufactured in the same manner, this is not a consideration. The decision generally comes down to personal preference and budget. In very general terms, glasswool is normally cheaper than polyester, but not always the case. Choose the highest mass for the available cavity: All things being equal, the more mass you can get into the cavity, the better the soundproofing will be. So when choosing acoustic batts, you want to choose the highest mass batt that will fit into your cavity and of course your budget. Usually, you can find out the density of a particular batt from the bag or by asking the salesperson. Common densities in Australia are 11kg/m3, 14kg/m3, 20kg/m3 and 25kg/m3. Now here's the thing. Just becasue one batt is 11kg and the next is 14kg, don't immediately assume the 14kg is acoustically better, as it's the mass we are concerned about and not the density. An 11kg/75mm batt will give better acoustic performance than a 14kg/50mm batt. To compare performances, divide the density by 100 and multiply by the thickness to find the amount of fiber per m2. So, 11kg/100 multiplied by 75 = 825, whereas 14kg/ 100 multiplied by 50 = 700, so the 11kg/50mm batt will have more mass.